Miss Wisconsin Collegiate, High School, or Jr High School America Scholarship Pageant! Along with amazing lifetime friendships, business contacts, a chance to win a scholarship, the opportunity to gain confidence, poise, perfect your interview skills, and countless amazing opportunities! Here's how you can enroll! ..As a part of my ongoing journey of dedication and volunteerism, I vow to make a difference in my community, which will resound far beyond my reign as Miss Wisconsin Collegiate America 2013. Friends for Keeps, in February, 2013. This book ha been inspired by my own experiences and life lessons. I hope you'll consider reading it. If you haven't already had the chance to read it, I'd love to send you an autographed copy! And if you have had the pleasure...please share with me your responses! I absolutely love to hear back from those who have had the opportunity to read Friends for Keeps. Published by Bryson Taylor Publishing, this book is intended as a learning tool to reach out and expand the resources available for students and their support systems. 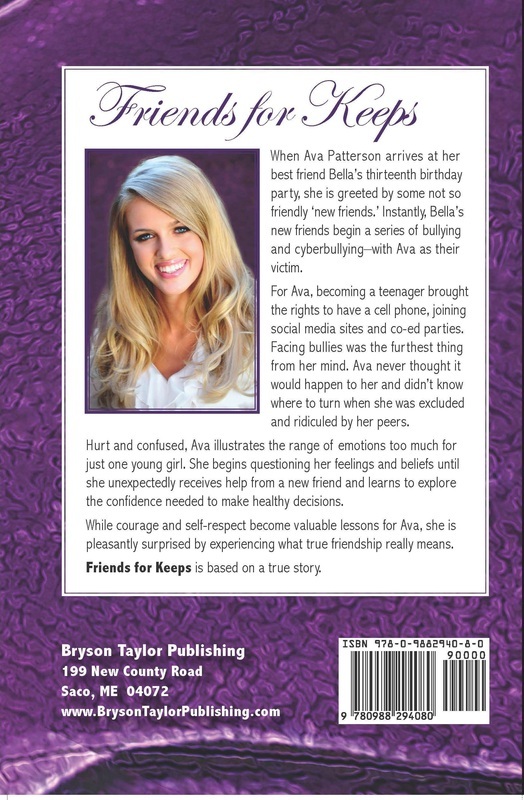 The anti-bullying platform, The Crown C.A.R.E.S., (Creating A Respectful Environment in Schools) has played an integral role in shaping characters and story line of the book, Friends for Keeps. I'm convinced that readers of all ages will find this book to be a valuable resource in the awareness and prevention of bullying- in schools, in the community, at home, or elsewhere in life. It contains resources & tips from a respected source on bullying prevention, as well as being a fun, realistic book. I have received so many positive responses from readers of the book, and I just want to thank all of my readers and wish you all the best life has to offer! Thank you for joining with me in raising the awareness of bullying prevention. or on facebook for your personalized copy! community functions and school presentations! Bullying Prevention Presentations, The Crown CARES appearances, Autographs or Book signings, and Miss Wisconsin Collegiate America 2013 appearances are available for your next charitable event by contacting me! Special thanks to my all of my sponsors! Rock River Intermediate School, for inviting me to speak to the student body assembly on bullying prevention awareness tools & tips! I had so much fun joining local Girl scout troop for their annual project on anti-bullying! Infinite Love & Gratitude to all! Thank you to the Special Olympics "World's Largest Truck Convoy for inviting me to Emcee the 2013 event, along with Edgar Hansen, of Discovery Channel's Deadliest Catch! for their generous sponsorship contributions! *Enjoyed representing Germanfest in Milwaukee in the Children's area and being part of the Children's Parade! for hosting an author chat, snack & signing event in store. 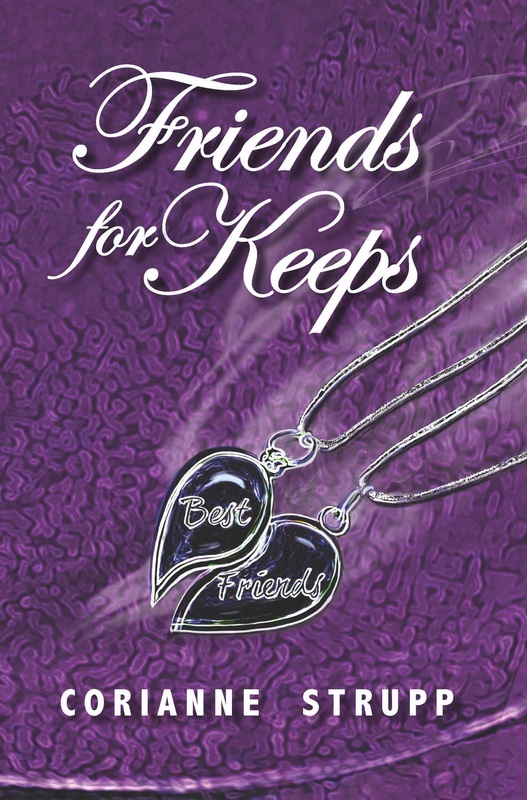 Friends for Keeps is available at Faith & Giggles! Shop today! I love the atmosphere of this family-run business!